We anticipate this being a very popular spa with families due to the variety of seating confgurations. 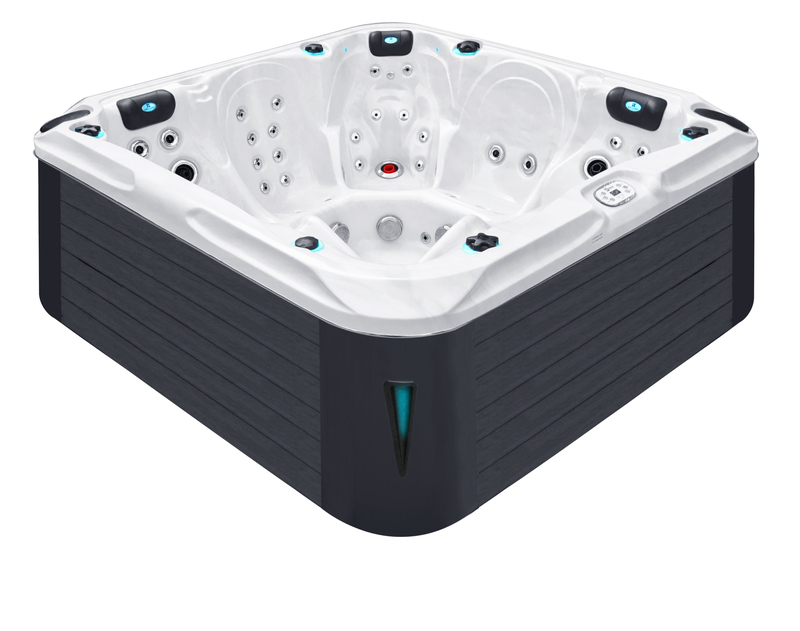 There are two comfortable loungers designed for different body lengths and extensive massage therapy with various features, including Passion Spas’ propriety Aqua Rolling Massage. 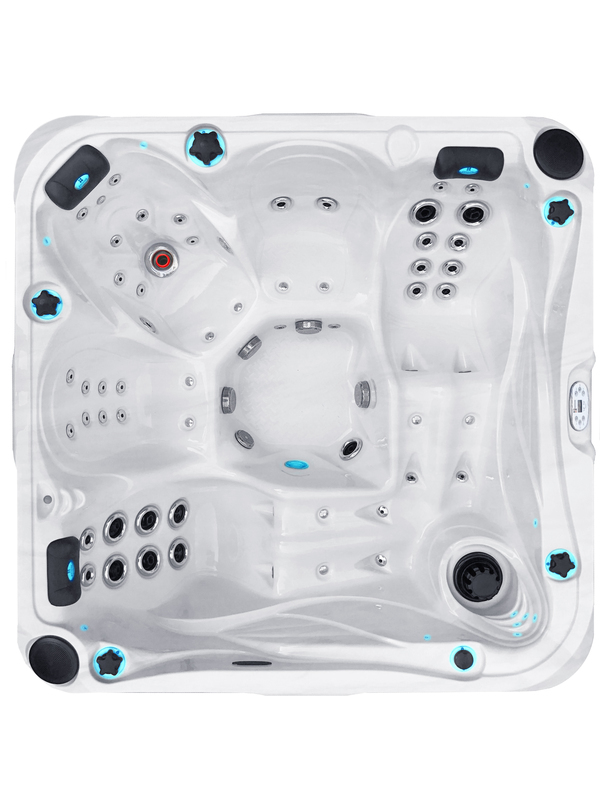 Of course, the Delight Spa incorporates all of the quality construction features Passion Spas is known for, including molded base, synthetic frame, and thick fiberglass laminate backing the acrylic surface; everything needed to ensure the user a lifetime of enjoyment. 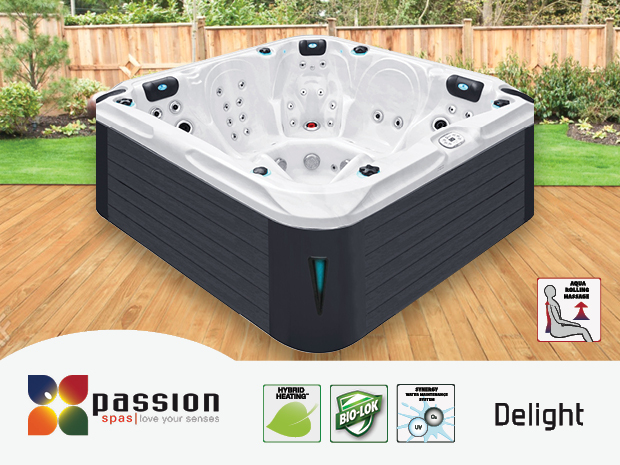 As with all Passion Spas, the Delight has three layers of insulation, heat-lock design and our award winning Hybrid Heating, making the spa energy efficient for low-cost operation.